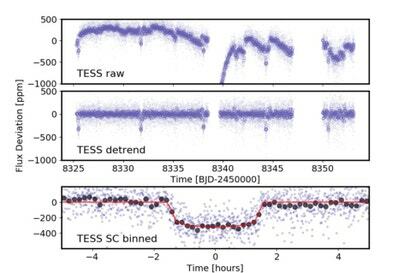 As its name suggests, TESS is a planet-hunting satellite. 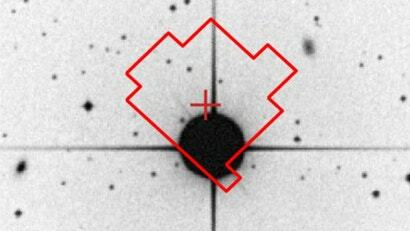 Using its four 10-centimeter optical telescopes, the satellite repeatedly scans wide fields of space, and monitors the brightness of candidate stars. 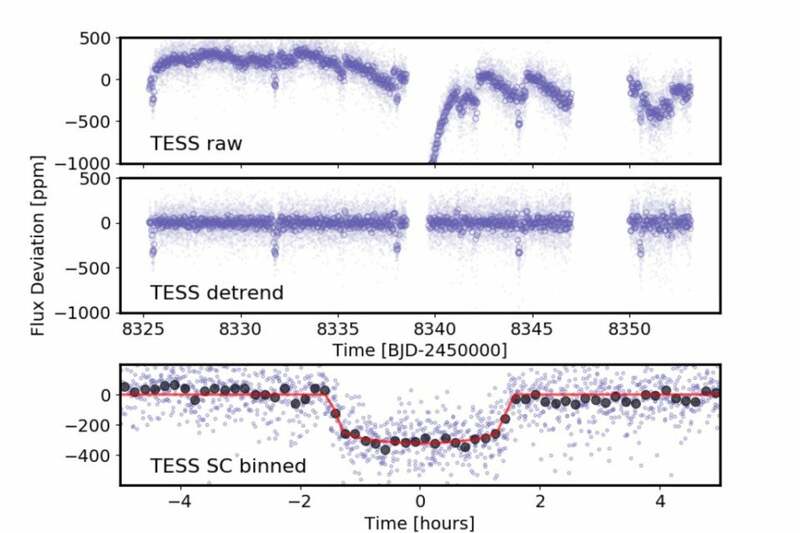 This data is then analysed by astronomers, who look for periodic dips in a star’s brightness—a possible sign of an orbiting, or transiting, exoplanet passing in front of the star. It would now appear that TESS has made its first finding of this kind.